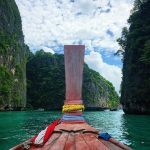 Private longtail boat rental – create your own adventure! 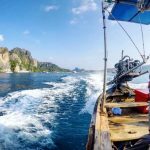 Your private Longtail boat rental for the day allows you to make your own trip with an experienced local captain who knows the best places to take you. 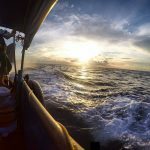 The program is up to you, can depart any time to explore Koh Phi Phi Don, Monkey Beach, Phi Phi Leh and Bamboo Island with a experienced local Thai captain. 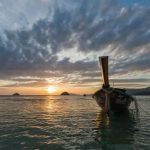 Bring some beers, a picnic and some tunes and enjoy your own private longtail boat rental trip with your friends or loved ones, around the spectacular Koh Phi Phi Islands! 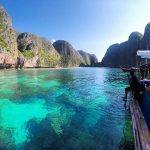 Go to Maya Bay early to avoid the crowds or go late afternoon to enjoy sunset over the ocean and swim with the glowing plankton inside Tonsai Bay. 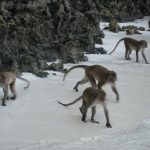 Visit Monkey Beach, Viking Cave, Pileh Lagoon, Maya Bay* and Monkey Beach. It’s up to you! Or let your captain guide you to the best spots of the day! 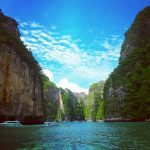 Visit Monkey Beach, Viking Cave, Pileh Lagoon, Maya Bay* . 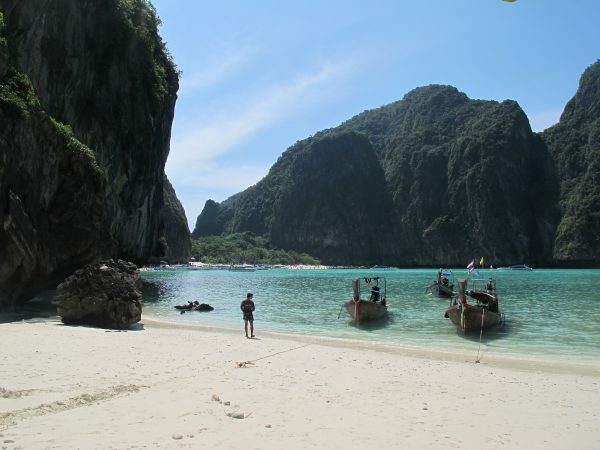 A short trip you can take any time of the day with your friends or family to visit the highlights of Phi Phi Leh. Visit Monkey Beach, Viking Cave, Pileh Lagoon, Maya Bay* and Bamboo Island. 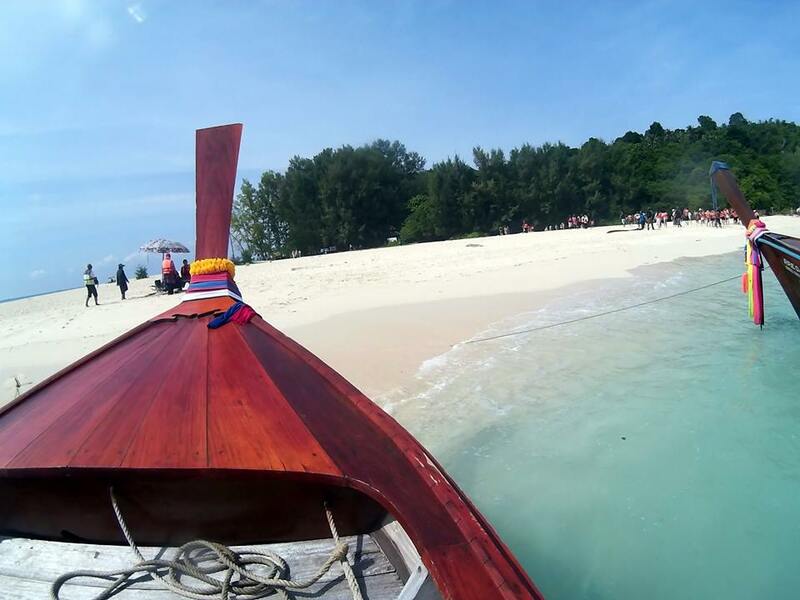 Bamboo Island is about 1 hour drive from Phi Phi Leh so it’s best to take at least 6 hours to enjoy both islands. The white sandy beaches and crystal clear waters will entice you to relax, stay a while and enjoy this tropical paradise. 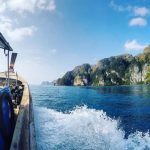 Visit Monkey Beach, Viking Cave, Pileh Lagoon, Maya Bay, departing from the main pier in Tonsai and returning in time to make the last ferry back to the mainland! Enjoy the best of Phi Phi Leh while supporting local Thai captains by choosing authentic Thai Longtail experiences.* . Check our Facebook page for photos from our longtail boat rental trips and Eco Tours! 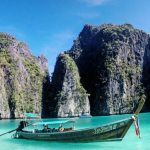 * Maya Bay and the west side of Phi Phi Leh is prone to waves and wind in low season months of June – September so we cannot guarantee access during these months.